Ocean State Job Lot, Planet Fitness and Verizon Wireless are among the businesses preparing to move in, and the former Pratt Abbott cleaners property is under contract. FALMOUTH — Several long-vacant properties along Route 1 are getting new life this fall. The most significant change is the addition of Ocean State Job Lot in the former Shaw’s supermarket space at the Falmouth Shopping Center. David Sarlitto, a spokesman for Ocean State, said the company is also bringing along another tenant, Planet Fitness, which will take over the former Lamey Wellehan shoe store space next door. 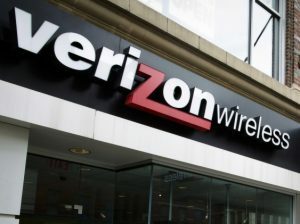 In addition, the former Wendy’s restaurant in the Falmouth Plaza at 206 Route 1 is set to become a new Verizon Wireless store, said Theo Holtwijk, Falmouth’s director of long-range planning and economic development. Holtwijk also acknowledged that the former Pratt Abbott space across the street, at the corner of Route 1 and Depot Road, is under contract. But he said he could not reveal what the plans are for the building. Both the former Pratt Abbott store and the former Five County Credit Union, at 223 Route 1, are being marketed by CBRE The Boulos Co.
Greg Boulos said Tuesday that it could be another six weeks before there’s a formal announcement of what’s coming to the former Pratt Abbott property. He also said the former credit union space has just gone on the market and he’s already begun showing it to potential tenants. Under the town’s zoning ordinances, allowable uses for both properties include restaurants, banks, office and retail. Ocean State Job Lot, which according to its website provides “quality brand-name merchandise at closeout prices,” has six other stores in Maine. The company is now hiring associates, and Sarlitto said the goal is to open the new store by mid- to late-November. He expects the Falmouth location to employ between 35 and 45 people in a variety of full- and part-time positions. Sarlitto said Ocean State, which was founded in 1977 in Kingstown, Rhode Island, was attracted to Falmouth partially because the company was able to get a good deal on the lease. He said Ocean State is leasing more than 50,000 square feet of space, with a little over 30,000 dedicated to the retailer and the remaining space to be occupied by Planet Fitness.